Ritter, A.R.M. (2005). 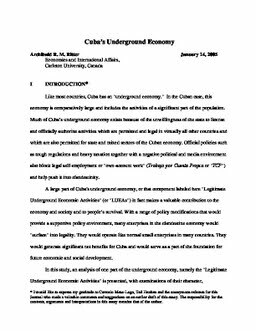 Cuba’s Underground Economy (No. CEP 04-12). Carleton Economic Papers (CEP). Department of Economics.